One of the great tragedies of our time is the cancellation of Judd Apatow-produced Freaks and Geeks (a.k.a. Judd Apatow’s training camp for young actors). The show is full of young faces that later became mainstays of the silver screen like Seth Rogen, James Franco and Jason Segel. It’s also full of the angst and bittersweet indecision of adolescence. 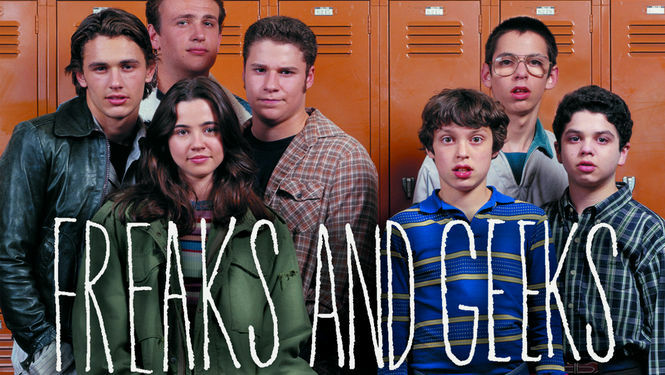 Freaks and Geeks features Lindsay Weir (Linda Cardellini) as a gifted high schooler torn between her well-behaved, A+ school history and her blossoming friendship with the school’s “freaks.” Events become increasingly complicated as Lindsay has to deal with the criticism of her childhood friend (and fellow geek) Millie, pressure from her parents, goofy advice from her yearning-to-be-hip guidance counselor, and decisions about college and her future career. The show does an exquisite job of capturing not only the awkwardness of adolescence but also the ambiguity. Classic archetypes are challenged and become nuanced representations of actual people. In one episode bad-boy Daniel Desario (James Franco) spray paints a rival’s car. In another he plays Dungeons & Dragons with Lindsay’s little brother Sam (John Francis Daley). The show’s characters are endearing, but they certainly make mistakes. We cringe at their stupidity and laugh at their foibles. The show reveals the cruelty of kids, but it also speaks to their resilience. The show’s underlying message is one of love. What I’m trying to say is watch it. Watch it right now. You’ll like it. It’s a great way to start the new year! Also, everybody’s talking about it… don’t you want to be cool? (Vanity Fair’s Freaks and Geeks Reunion Photos).